Uncategorized – aab design inc. The loudest content medium out there has finally learned how to be quiet. In 2015, web design moved away from information overload to an aesthetic revolving around empty space and simplicity. Taking a cue from magazines, web pages are using large high-definition photographs and typography to lure in readers with eye-pleasing openers before revealing further content. This design is influenced by a new appeal to simplicity and by the need to cater to mobile web traffic, which is increasing every year. In the face of this push to cut away excess, here are 14 design trends that have reared their heads so far in 2015. From simplifying logos and typefaces (here’s looking at you, Google) to cleaning up entire web pages, minimalism is the trend influencing all others. Websites are focusing more on their actual content and reducing all of the clutter around it. Footers, sidebars and borders are all disappearing, and even color palettes are being simplified as companies emphasize one dominant color in their visual design.StubHub’s logo change is a perfect example of this trend. Designing with the mobile market in mind changes more than just aesthetics. It has impacted the way web illustrators think about organizing their content and how they let readers access it. Sticky menus and sidebars are falling out of favor to make room for content that readers actually want to see. These days, menus are at the top of the screen and are mostly hidden, noted by a single icon (often a stack of three lines called a “hamburger”) that when selected drops down or slides out into a more robust menu. Social media analytics companyUnmetric has a beautifully simple example of this style of menu. Web sites are moving away from loud, flashy buttons, and are embracing transparent buttons. Because they are less obtrusive, ghost buttons help sites highlight more of the content they want audiences to actually see instead of call-to-actions they would otherwise force users to click. Ghost buttons include only the outline of a button (no fill) along with a word or two in simple typography in the center. 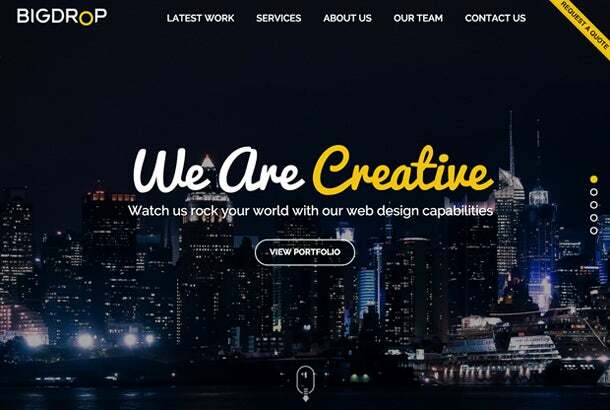 BigDrop, a web design firm, features a prominent ghost button on their landing page. Already trending in 2014, the hero image hasn’t gone anywhere this year, but it has evolved. Last year, sites all over the web included the standard hero image: a high-definition (HD) picture featured prominently at the top of a website that stretched the entire width of a user’s browser window with only a few words of text overlaying it. This year the hero image has changed in a few remarkable ways. Some sites have taken the HD photo one step further and embedded HD video onto their landing page. Others pursued the opposite route: blurring the banner photo or removing it altogether in favor of a simple colored background to draw attention to the text. 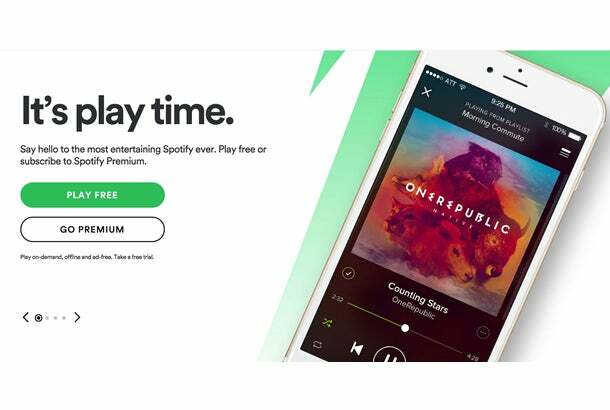 Spotify’s site shows a blend of these trends, offering an image on one half of the page but leaving plenty of white space for its heading and a pastel and ghost button to boot. When the hero image became popular, designers began paying more attention to typography. Picking an engaging font is crucial to drawing a visitor’s attention when so much of the site’s content is simplified and reduced as an effect of minimalism. 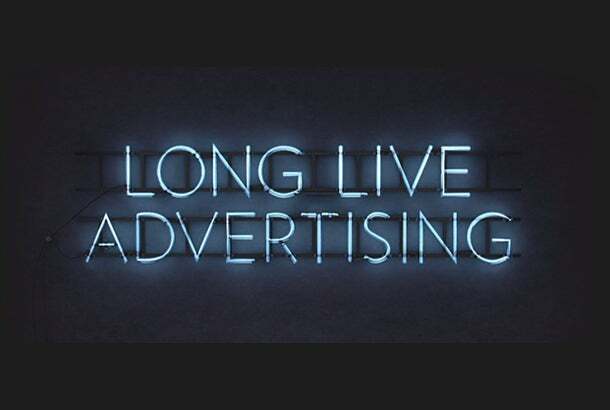 Ad agency RSQ uses custom typography on its website and features a powerful statement without any other distractions to spotlight its message to audiences. The days of the generic stock photo are over (thank the photography gods); jaw-dropping visuals are in. With communities like 500px andUnsplash, finding high quality do-whatever-you-want-with-it photography is easier than ever. 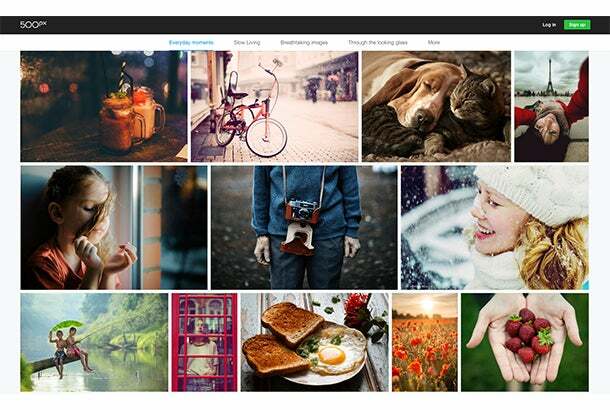 As a result, websites no longer look like the result of an uncoordinated stock photo shopping spree. Now, they actually feel genuine. Nobody wants to click through multiple pages anymore. Instead, users prefer to scroll through content on one long page. This trend too has its roots in mobile web surfing because it is far easier to scroll down with your thumb than it is to click through multiple pages and wait for each to load. 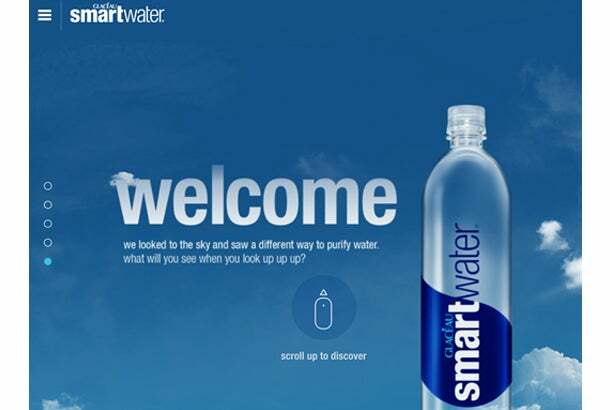 This year has reinforced that concept, and while few websites are only a single page, most are reducing the number of pages they have and lengthening the content on each to be more mobile-friendly.Smartwater’s website uses scrolling to great effect by making the visitor scroll up rather than down to illustrate that their water is distilled from vapor. A way to make websites more engaging, parallax scrolling creates a three-dimensional illusion that draws audiences into a site’s content. Many brands now use parallax scrolling to create a more immersive effect for visitors. 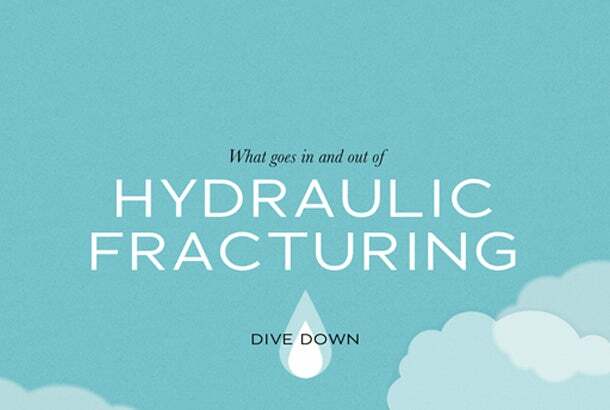 Dangers of Fracking uses this brilliantly as you follow a drop of rain from the clouds to the depths of the earth. Call it a grid, tiles or cards, each of these designs creates the same effect: organizing content in an efficient, aesthetically pleasing way. A single column of content is inefficient and less user-friendly by comparison. 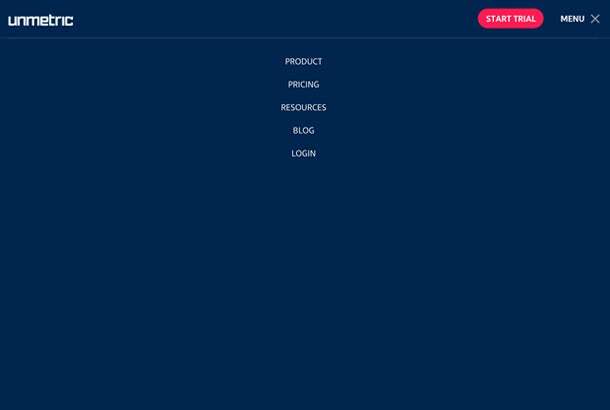 Modular design allows a page to show more content to users faster, in a way that makes more intuitive sense and creates a more visually engaging layout at the same time. 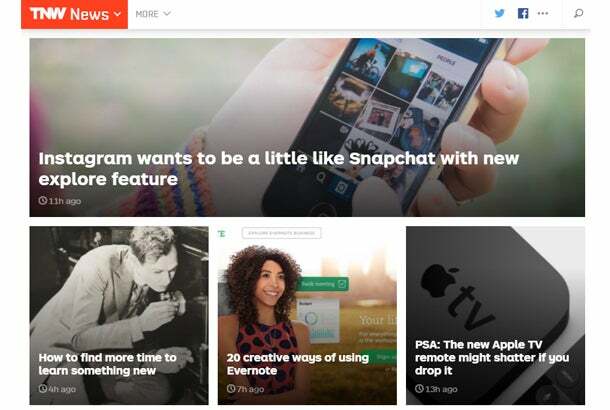 On its homepage, The Next Web offers a textbook-perfect example of good modular design. Flat design made a huge impact on graphics last year, so much so that Google released its own version of flat design called material design. Material design employs the same aesthetic as flat design, focusing on simplicity and clean presentation, but Google’s design has more subtlety. 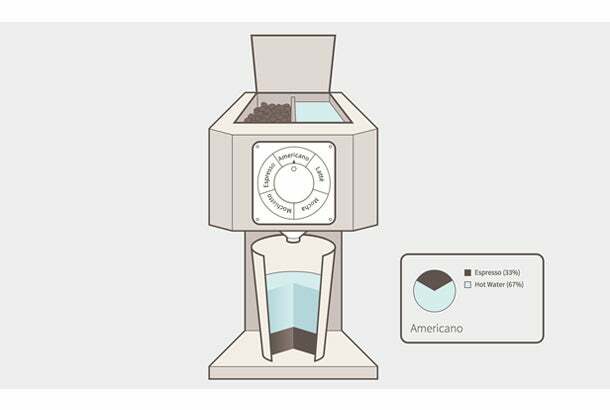 Whereas flat design includes simple illustrations to create recognizable but minimalist two-dimensional content, material design uses gradients, slight animation and shadowing to add depth to the image. With most web designers in a minimalist mindset, material design won’t be going anywhere soon. 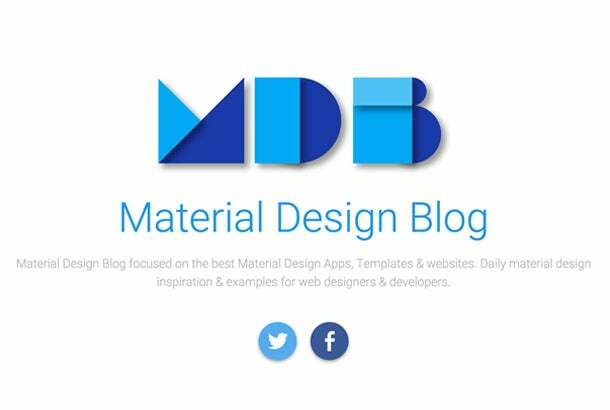 Below is Material Design Blog’s landing page, which is a great example of how material design works for logos. Alongside material design, line icons is the other movement finalizing the decline of skeuomorphism. Rather than an icon looking exactly like the object it represents (a design style that Apple popularized with its iOS icons), icons are created with simple lines and shapes that convey an action, object or thought we are all very familiar with. Many line icons have become universal in web design, such as the outline of a magnifying glass signaling the search function or the hamburger (three stacked lines) for a menu. Below are examples of line icons fromOtherIcons. Google Maps is everyone’s go-to map service, and it is only getting better. With customizable options, more brands are integrating the service into their websites — a move that is long overdue. Companies can add Maps to their site and customize its colors to complement their preferred color scheme. 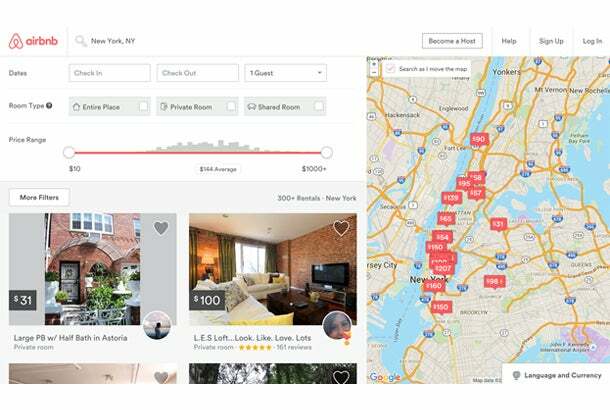 For example, Airbnb uses Google Maps and customized markers to help users figure out where available rooms are and how much they cost so they can plan a getaway that fits their budget and style. Split screen layouts are popping up all over the web this year. With a vertical split layout, designers are able to present twice the content to users in a clean and simple format. Websites are divided in half widthwise, featuring two separate messages. The split screen is a great way to show equality between two things because standard web layouts dictate the most important things come first. 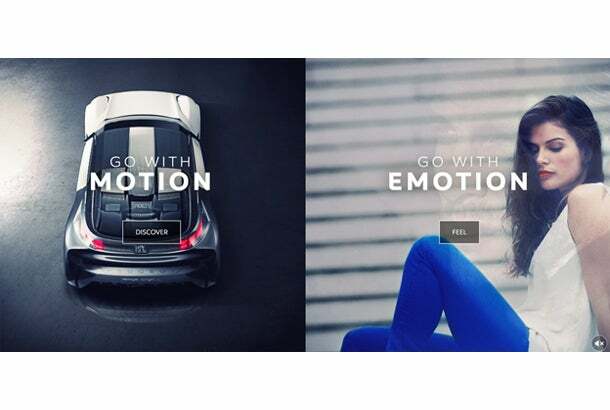 Car maker Peugeotuses a vertical split layout on its homepage to blend the human element of the car with the car itself, suggestive of the relationship between driver and vehicle. Now that 2015 is coming to a close, which new trends will designers adopt in 2016? …in 2014, mobile usage surpassed desktop usage. If people are using their phones to access your website even when they have a desktop at hand, you need to make it easy for them. …of people age 30 and under own a cell phone. Without responsive design, you’re pretty much ignoring the entire younger generation. …announced that effective April, 2015 it is scoring mobile-friendly websites higher in mobile search results. Why is this important? A whopping 46% of searchers now use mobile devices exclusively to find information. …with thousands of device types to optimize for with varying screen sizes and resolutions, responsive design is the only way to ensure your website looks as good on a mobile device as it does on a desktop. Since half of all web visitors will never return to a website they’ve had trouble viewing in the past, better make that first mobile experience a good one. …of companies have already implemented responsive website designs giving them a leg up over your company if yours isn’t one of them. Is your organization one of the 82% that don’t have responsive design yet? It may seem like a daunting and time consuming task, but our web content and experience makes it easy to go responsive quickly and effortlessly. We’ve helped countless customers. If your web content management system isn’t mobile-friendly, why not take a look at ours? http://aabdesigninc.com/wp-content/uploads/2018/04/colors1.gif 0 0 aabdesign http://aabdesigninc.com/wp-content/uploads/2018/04/colors1.gif aabdesign2015-05-19 17:59:532015-05-19 17:59:53What is UX? aabdesign on It is not too late to make sure your website is mobile-friendly. The future of online shopping #ecommerce #socialmedia #aabdesigninc How social media can define relationships between retailer and consumer. "It's like you're exploring in an amusement park. It's chaotic, it's fun and it's even a little bit addictive."